To give shot of vaccination you need to keep in mind that there are two types of vaccination.Core vaccination and non-core vaccination. Since Rabies is a kind of disease which is incurable in dog,this is legal by law to shot one Rabies vaccine to your dog. This vaccine is for the diseases like Distemper Virus, Parvovirus, Adenovirus and Parainfluenza Virus in a single injection. This vaccine is the best protection from these diseases. 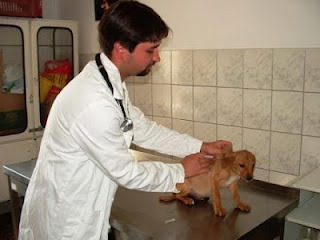 These vaccines is to fight against the bacteria called Bordetella Bronchiseptica that causes kennel cough in dogs. Lyme disease is caused by a spirochete called Borrelia Burgdorferri. Ticks carrying the bacteria may spread the disease in dogs through tick-bites and it might lead to various cardiac, kidney and neurological disorders. Two shots of this vaccine is just ok to prevent from diseases.